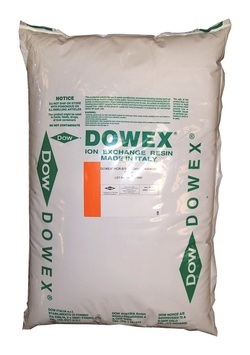 Water softening ion-exchange resins are used to replace the magnesium and calcium ions found in hard water . The resin can be regenerated by washing it with salt (NaCl). The calcium and magnesium ions migrate off the resin, being replaced by sodium ions from the solution until a new equilibrium is reached.